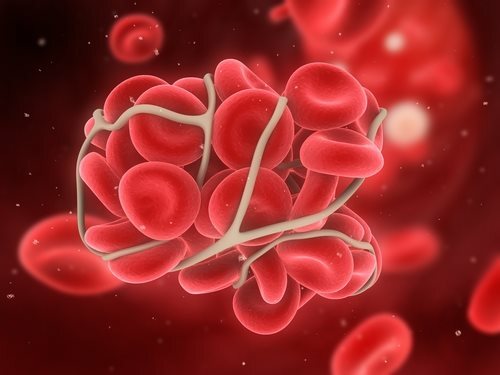 On November 2, the Food and Drug Administration (FDA) approved Xarelto (rivaroxaban) to treat deep vein thrombosis (DVT) and pulmonary embolisms (PE), as well as to reduce the risk of DVT and PE after a surgery or treatment. DVT is a serious type of clot that occurs when blood thickens in a deep vein of the body. These types of clots are most common in the lower leg and the thigh and are extremely dangerous if they break off. They can travel to an artery in the lungs and can restrict blood flow—possibly leading to the PE which is deadly. The drug was already approved by the FDA and used after knee and hip replacement surgeries. The drug was also used to reduce the risk of stroke in people with an irregular heartbeat called non-valvular atrial fibrillation. Richard Pazdur, M.D., states: “Xarelto is the first oral anti-clotting drug approved to treat and reduce the recurrence of blood clots since the approval of warfarin nearly 60 years ago. Pazdur is the director of the Office of Hematology and Oncology Products at the Drug Evaluation and Research Center for the FDA. Other drugs that are approved to reduce the risk of blood clots include the following: Lovenox (enoxaparin), generic enoxaparin, Arixtra (fondaparinux), Fragmin (dalteparin), Coumadin (warfarin), and heparin. In clinical studies, only about 2.1 percent of patients taking Xarelto and 1.8 percent to 3 percent of patients taking enoxaparin and other combinations had a recurrent DVT or PE. A specific study showed that 1.3 percent of patients taking Xarelto had a recurrent DVT or PE compared to 7.1 percent of patients taking a placebo. The main side effect of Xarelto is bleeding or uncontrolled bleeding. These side effects are common with anti-clotting medicine.